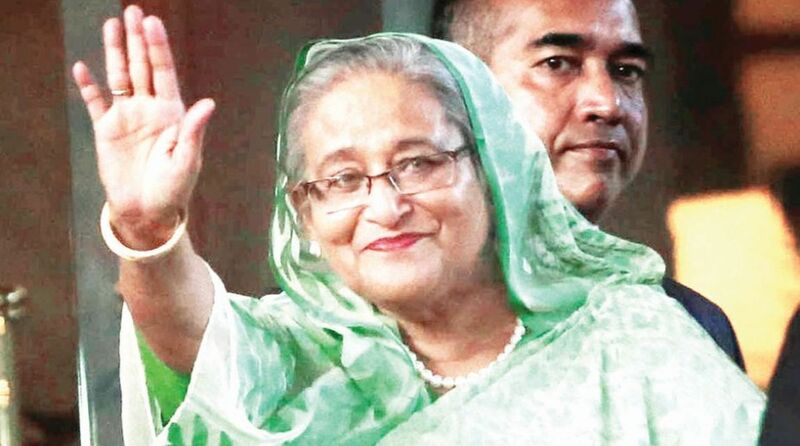 With the national elections in Bangladesh scheduled to be held on 23 December, the supposedly secular Begum Hasina appears to have adjusted gears by playing to the Islamist gallery in the twilight phase of her current tenure as Prime Minister. There can be no questioning the decision of a Muslim country’s head of government to construct what she calls “model mosques”. The announcement, that as many as 560 such shrines and an Islamic university will come up, is explicit on funding. The projects, with a profoundly theocratic connotation, will come up with Saudi assistance, however embattled the desert kingdom is at the moment. It is a deftly calculated attempt to woo the hardliners ~ generally close to her rival Begum Khaleda ~ ahead of the parliamentary elections. There is little doubt the announcement is remarkably timed ~ when the pro-Islamist Bangladesh Nationalist Party is rudderless prior to the crucial elections with its leader battling illness in jail over two cases relating to embezzlement of funds. It would be premature to speculate whether Hasina’s rather surprising initiative will yield dividend at the hustings, assuming it will be a contested election unlike in 2013. In the immediate perspective, Hasina’s signal of intent will buttress her bargaining position at her scheduled meeting with the Opposition. On a variety of issues, she has neutralised the campaign of such Islamist entities as the Jamaat. And not the least by the Awami League government’s recognition of the Dawra-e-Hadith degree of the Qawmi madrasa system. Unwittingly or otherwise, she has taken a bow in the direction of fundamentalist learning. Her election-eve gambit has been readily welcomed by the Qawmi leader, Faizul Qarim ~ “Sheikh Hasina has recognised the top madrasa degree. We want her to come to power again so that she can fulfil the rest of our demands.” Quite a change that from the radical perspective. For all her eloquent protestations on secularism and democracy, the Prime Minister has made it pretty obvious that she has played the Islamist card. Notably, last Sunday’s event was organised by the apex organisation of the Dawra-e-Hadith of Aqwmi madrasa. This signifies a change in agenda as her Awami League is considered as a secular party, while her rival Begum Khaleda Zia’s BNP is close to the hardliners. The decision is indubitably a feeler to woo Islamist voters. This segment of the electorate has traditionally voted for Khaleda’s BNP and her ally, the Jammat-e-Islami. The Prime Minister, who will be seeking another term at the Dhaka crease, has blurred the distinction between theocracy and purportedly democratic elections. Sheikh Mujibur Rahman would have been aghast.